Follow the links below to find out the latest newsletters and job/internship opportunities. 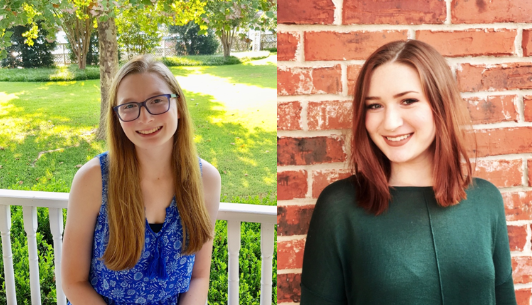 The South Central CASC is excited to announce that Julie Bahr and Brooke Foster are our scholarship recipients for the upcoming school year! Julie (left) is a sophomore from Brownsburg, Indiana, majoring in English and Environmental Sustainability with a minor in Spanish. She currently serves as the Vice Chair of Publicity & Design for OU’s Green Week, the Assistant Editor for the Honors Undergraduate Research Journal, and the Public Relations Director for Circle K International. After graduation, Julie hopes to pursue a career in environmental conservation or policy. Brooke (right) is a sophomore pursuing degrees in Environmental Sustainability and Global Energy, Environment, and Resources along with a Spanish minor. She enjoys being a member of the Liaison Committee for Green Week at OU, which is a week in April dedicated to promoting sustainable practices on campus. After graduation, Brooke plans to attend a graduate program or law school as she continues to promote environmental equity and sustainability in communities both local and around the world. Congratulations to both Julie and Brooke on earning this scholarship. Through a collaboration between NASA Minority University Research and Education Project (MUREP) for American Indian and Alaska Native STEM Engagement (MAIANSE) and the South Central Climate Adaptation Science Center, participants from 7 NASA Centers engaged with 160 indigenous students at Riverside Bureau of Indian Education School in Anadarko, Oklahoma. 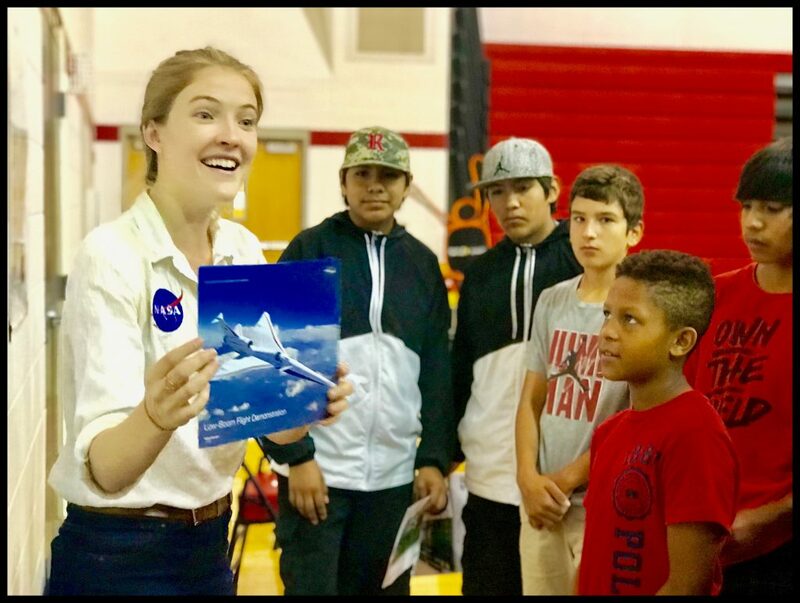 Members of the NASA team discussed their careers with Riverside students in a Q & A format and then broke out into groups to facilitate a variety of STEM engagement activities that promoted the NASA science mission and engineering technology directorates.